The nuances of military history are often lost to the passage of time and with the men who could give first-hand accounts. As much as training and battle play a significant role in the story of war, so does the camaraderie built through nights of recreation and if rumor has it, a beverage or two, or three. While there were no breathalyzers on the day to confirm the fact, by these two particular men’s admission, they had spent the night of December 6th, 1941 drinking heavily and had little to no sleep when the Japanese launched the most brutal surprise attack in American history. But that didn’t stop them from loading up into two P-40 fighters without orders and taking on the brunt of a massive Japanese assault. This is a story the world knows whether it realizes it or not. It was loosely depicted in the 2001 movie Pearl Harbor with the story of these two men played by Ben Affleck and Josh Harnett. And while that particular movie was certainly full of its typically Hollywood artistic liberties, the 1970 movie Tora, Tora, Tora would be a much more accurate portrayal. But make no mistake about it, two audacious men took to the skies against the mightiest air assault America has ever known. 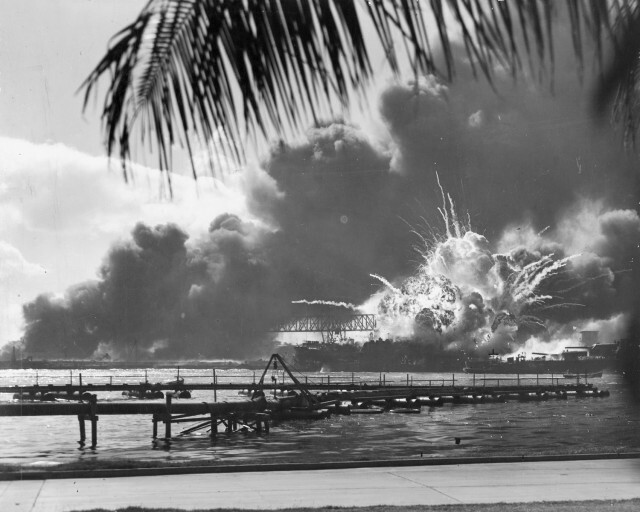 The attack on December 7th, 1941 took place on a Sunday. Which means for many on the island, particularly those stationed there, a typical Saturday night was all that separated them from that day and one which would live in infamy. Returning to the barracks, 2nd Lieutenants George Welch and Ken Taylor of the 15th pursuit group had just returned from an epic night of partying and poker playing. To be musing about the night’s activities one minute and watching the Japanese attack the next must have been a remarkably sobering sight. The Japanese attacked in two waves with over 350 fighters, bombers, and torpedo planes from 6 different aircraft carriers. 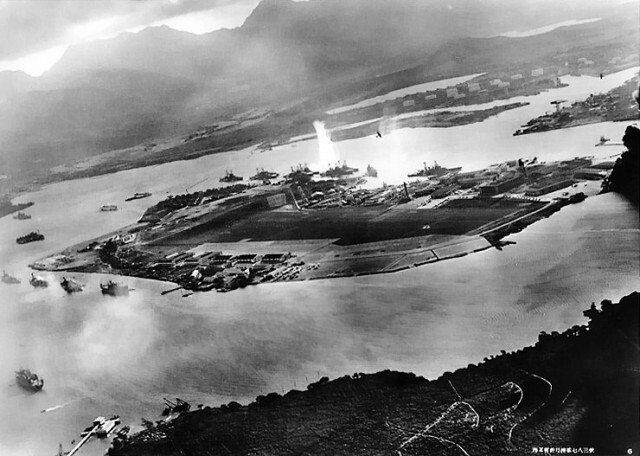 The target was the American Pacific fleet most of which was anchored at Pearl Harbor when the attack began. When it was over, 8 US battleships would be sunk or heavily damaged along with three light cruisers and three destroyers. A total of 188 US aircraft were destroyed in the attack as well, mostly sitting wing to wing on the ground. But that doesn’t mean a few brave fighters didn’t take to the sky to give the Japanese a little taste of what was to come in this long war they had just begun. 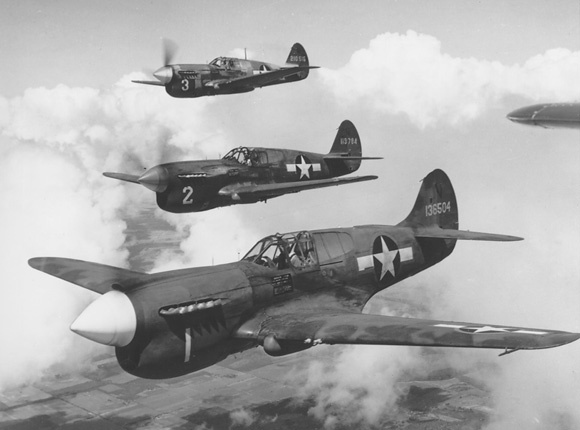 As Wheeler Air Field had become a primary target for the Japanese, Welch called out to Haleiwa Airfield to have to have two P-40 aircraft fueled and ready because two pilots were coming in hot. Potentially a little drunk and hungover, but coming in hot all the same. They sped to the airfield in their Buick and quickly mounted the planes without orders to do simply what they could. The P-40s were initially only armed with .30 caliber ammo for the wing guns, but to these two men, that was enough to get started. After they took off, they headed towards Barber’s Point at the southwest tip of Oahu, and initially saw an unarmed group of American B-17 Flying Fortress bombers arriving from the mainland United States. They soon arrived at Ewa Mooring Mast Field, which was being strafed by at least 12 Aichi D3A “Val” dive bombers of the second Japanese attack wave after expending their bomb ordinance at Pearl Harbor. Although the two pilots were outnumbered six-to-one, they immediately began firing on the dive bombers. Taylor shot down two dive bombers and was able to damage another (the third damaged aircraft was considered Taylor’s first probable kill). The two men continued to circle the skies fighting what targets presented themselves until they needed to return to base for more ammunition and fuel. Returning to Wheeler under the threat of friendly anti-aircraft fire, they sought to refuel and load up with the more potent .50 caliber ammunition for the nose-mount synchronized machine guns too. When they returned to Wheeler, the .50 caliber ammunition was, unfortunately, residing in a burning hanger. Yet, two brave mechanics headed into the inferno in order to save the ammunition. With extra firepower, Welch and Taylor took to the skies again to take on the second wave of fighters and bombers. Taylor headed for a group of Japanese aircraft, and due to a combination of clouds and smoke, he unintentionally entered the middle of the formation of seven or eight A6M Zeros. A Japanese rear-gunner from a dive bomber fired at Taylor’s aircraft and one of the bullets came within an inch of Taylor’s head and exploded in the cockpit. One piece went through his left arm and shrapnel entered his leg. Welch shot down the dive bomber aircraft that had injured Taylor, and Taylor damaged another aircraft (his second probable kill) before pulling away to assist Welch with a pursuing A6M Zero fighter. The Zero and the rest of its formation soon broke off the pursuit and left to return to their carriers as Taylor neared Welch. Taylor continued to fire on several Japanese aircraft until he ran out of ammunition. Both pilots headed back to Haleiwa. 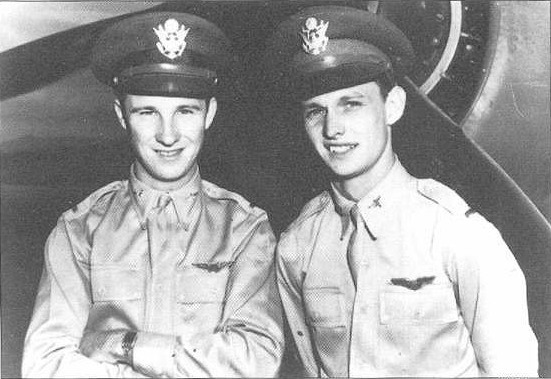 The attack was over and when it was done four planes would be claimed shot down by these two young Lieutenants with others damaged. With the overwhelming odds they faced, each man could have easily claimed after the first sortie that they had done all they could. Yet, each man insisted on returning to the sky for additional runs. They did so without orders from their superiors and in fact, some accounts have them denying the request of a higher officer to remain on the ground. For their actions that day, each man was nominated for the Medal of Honor but were only awarded the Distinguished Serve Cross instead. After Pearl Harbor, Welch was initially tasked with giving war bond speeches to support the war effort while Taylor was assigned to the 44th Fighter Squadron where he would go on to get additional air to air kills. Ken Taylor would later be wounded in an air raid at Guadalcanal and be sent home to train US pilots. After the war, he remained in the service and became an officer in the newly formed United States Air Force. He retired at the rank of Colonel. Welch’s story would be a little more tragic. In 1944, he resigned his commission to become a test pilot for some of America’s newly evolving jet aircraft. While instructing and training American pilots on these new aircraft in the Korean War, it was reported that Welch scored several MiG kills in direct disobedience to orders while “supervising” his students. However, in 1954 while test piloting an F-100 Super Sabre, the plane broke up in mid-air ultimately resulting in his death. Welch would go on to be buried at Arlington National Cemetery. While the fate of these two men would take separate courses after the war, what they accomplished together in the skies over Pearl Harbor inspired a nation. They proved from early on that America was ready for a fight and the iconic words of Japanese Admiral Yamamoto to be true. For when he said, “I fear all we have done is awaken a sleeping giant and fill him with a terrible resolve,” it would be because men like Welch and Taylor were determined to make that so.